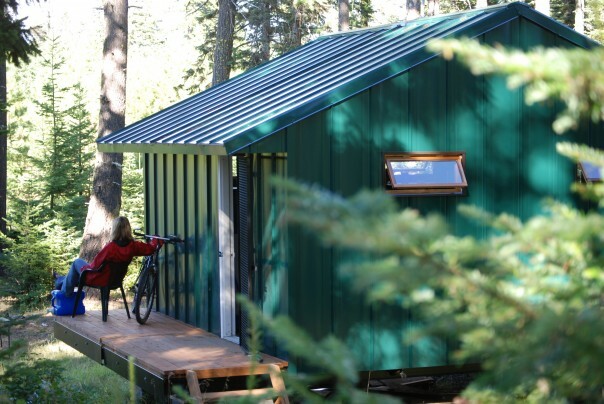 Cascade Huts is a partner with the U.S. Forest Service and provides 3 scenically located huts to accommodate bikers in a 3-night, 4-day loop around Mt Hood. 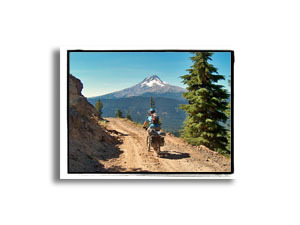 Beginning in the gastronomic paradise of Hood River, located on the Columbia Gorge, riders enjoy spectacular views of Mt. Hood as they ride a combination of secluded trails and historic roads at elevations of up to 4,000 feet. The route includes a portion of the historic Barlow Road (the first road built over the Cascade Range in 1845) but also offers single-track trails for the more adventurous rider. Additional points of interest along the route include Pioneer Woman’s Grave, Trillium Lake and stands of old-growth fir forest. There are numerous opportunities to view large and small mammals such as mule deer, elk, beaver and porcupines, as well as raptors and songbirds, butterflies and amphibians. Several species of wildflowers, including pale blue-eyed grass, broadleaf lupine, paintbrush and pacific bleeding heart, can all be seen during the ride. 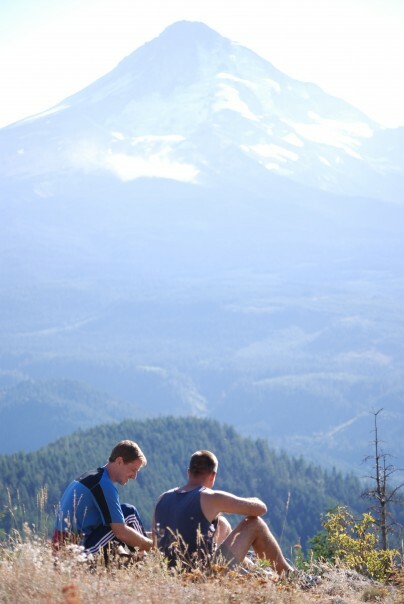 At each of the 3 hut locations and along the Mt Hood Loop, the visitor has a unique opportunity to experience this area’s varied terrain, its inherent wildness, its place in the history of U.S. westward expansion, and the bounty of its surrounding agricultural communities. The Mt. Hood Loop is designed to be low-impact on the environment via use of bicycles on existing roads and trails, and the huts are not “luxuricised” with electricity or running water. This trip exposes the outdoor enthusiast to the complex ecosystem of the Mt. Hood National Forest and the balance of resources that all flora and fauna need to maintain to successfully thrive. Visitors to the area have a better appreciation of the water management issues affecting the Pacific Northwest as it pertains to the salmon industry, agriculture, hydroelectricity and freshwater consumption, which translate into more environmentally sustainable decisions in food choices, resource consumption and conservation action. The huts are relocated in winter to form a shorter loop for snowshoeing.